«Compound interest is the eighth wonder of the world. «… “… compound interest is a very serious thing, however, it is not in the slightest bit intuitive. It can hurl a debtor into the depths of a bottomless pit, or make a saver wealthy. Even though everyone knows this, its effect is underestimated over and over again. Despite its universal presence, for some reason it somehow or other manages to evade the powers of human imagination …” Zeit Online, 13 September 2006. Quelle: Bloomberg; Index calculated in US Dollar. 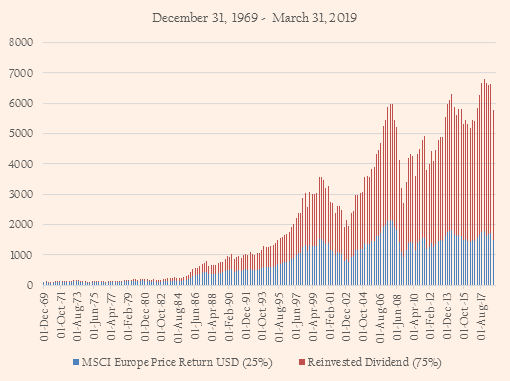 As the arithmetical example above illustrates, over this long period of time only 25% to the total performance of the MSCI Europe Price Return Index is contributed by an increase in share prices. The remainder, namely 75%, was generated by the reinvested dividend. It can therefore be said, that /dividends are anything but pocket money and should be reinvested into existing shareholdings in a continuous process! This principle is so important to us that we have incorporated it into our company name: The Compound Interest Investment Management AG. CIIM The Compound Interest Investment Management AG (CIIM) was founded in 2009 and is a finance boutique in the asset management sector. Our goal is to uncover inefficiencies in the market and to exploit these to the benefit of our clients. We also believe that markets are neither efficient in times of stress, nor are they perfectly reflected by indices. We have therefore set ourselves the task of studying these indices closely to identify their weaknesses. The results of our research feed into our investment process and made available to the benefit of our clients. We are equally convinced that in the long run only a disciplined approach leads to the aspired goal, to generate alpha. This guiding principle helps us to hold a steady course both in good times and bad in order to generate added value for our clients over the long term. Value investment is rather unexciting. The majority of investors buy tyres for their own car at the cheapest price possible from a discount trader. However, the same investors buy shares in Michelin or Continental only when the share price is going up. Because they are afraid of going against the market! The consequence: more often than not they end up paying too much for their stocks. As value driven investors, we not only buy the tyres at a discount but also the shares. Hence, by definition, we focus on equities that the market overlooks. Some of the typical characteristics of this type of share are price / earnings ratio (P/E), price-to-book ratio (P/B), and price/sales ratio (PS). From the technical point of view, the numerator (here the price) was unable to keep up with the denominator (profit, book value, sales among other things). In the world of finance, these investors are called “Contrarians“; rather unexciting. Since we cannot predict the future, we restrict ourselves to the present and attempt to gauge what it would take for the mean value to be reached again (reversion to the mean). This rarely happens instantly. On the contrary, this can at times take years; rather unexciting. We seldom find investment opportunities in the High Tech sector, in fact we invest in simple business models that we understand; rather unexciting. The typical investor in our funds has patience, is a disciplined investor and is not dependent on this part of his wealth for seven years or more; rather unexciting. The CIIM European Stock Portfolio pursues a value-oriented investment style. This approach was originally employed exclusively for the benefit of high net worth private clients (HNWI) of a long-established and leading asset management company in Liechtenstein, where it has been consistently applied since 2004. Since then, it has been continuously improved on and refined by us. As fiscal and regulatory issues have come increasingly to the fore, (we decided to open up the fund to a wider investor clientele and) the CIIM European Stock Portfolio Funds (UCITS) was launched in September 2006. You will find further details about our fund in our Factsheet. The easiest way to purchase units in either fund is to download the subscription form here , complete it, and then pass it on to your bank. The client always comes first. He or she is our co-investor. Our staff is highly-trained, extremely competent in lateral thinking, and are passionately committed to their work. Apart from our clients, they are the company’s most valuable asset. Discipline, continuity and consistency are the foundations on which our investment process is based. With its central piece being the exponential growth of the compound interest effect. We manage our client’s assets with just the same ambition and passion as our own. Our team is made up of team players. There is no room for prima donnas on our team. Life is change and without change, there is no life. We are a learning organisation, with new insights continuously integrated into the investment process. We are marathon runners, not sprinters! Stefan Riesen has more than 30 years professional experience in trading, portfolio management and advising institutional clients. Before taking up his executive position at CIIM, Stefan Riesen was Chief Investment Officer and Member of the Executive Committee, as well as Fund Manager, at Salmann Investment Management AG. Prior to this position, Stefan Riesen was entrusted by Goldman, Sachs & Co. with the establishment and management of the Institutional Sales Desk in Zurich. Stefan Riesen is a Chartered Financial Analyst (CFA) and was awarded a MBA by the University of Chicago Booth School of Business. (www.raetiabooks.com). Moreover, he holds a professorial chair at the MIT Sloan School of Management and at Boston University. Reto Gallati graduated from the University of Saint Gallen with a masters degree in business administration (lic. oec. HSG) and completed his academic studies at the University of Zurich with his doctoral thesis with emphasis on mathematics and economics. 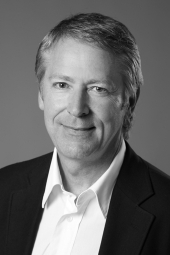 Otto Huber is Managing Partner of Claris Holding GmbH & Co KG, an Austrian consultancy company. 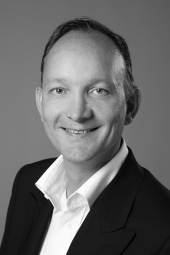 Prior to taking up this position, he was CEO of CREATIV Chemie GmbH, CEO of Skiny bodywear GmbH, Vice-President of Marketing and Sales at Huber Tricot GmbH and member of various boards of directors (amongst others, Beldona AG, Switzerland; Signa Berlin Holding GmbH, Vienna). Otto Huber has extensive management experience, with the emphasis on company strategy, international marketing, sales, and the retail trade. Otto Huber read Commercial Science at the Vienna School of Economics and graduated with a masters degree in commerce (Mag. rer.Soc. Oec. ), and also holds a MBA from the University of Chicago Booth School of Business. Peter-Mark Vogel is a founding partner of Manas Petroleum Co. in Baar and is a member of its management in an advisory capacity. Prior to Peter-Mark Vogel taking over the responsibility for the analysis of Swiss technology companies with the bank, Sal. 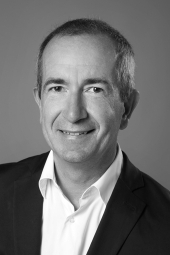 Oppenheim jr. & Cie. (Switzerland) AG in Zurich, he was responsible for the co-management of an European equity fund (EUR 400 million) and the analysis of European technology stocks at HSBC Guyerzeller bank AG in Zurich. 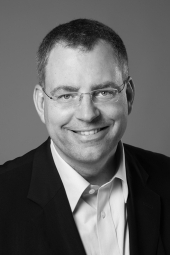 Peter-Mark Vogel read Business Administration at the University of Zurich and graduated with a masters degree (lic. oec. publ. ), and holds a MBA of the University of Chicago Booth School of Business.